One of the most trafficked posts I’ve ever made regarded empwronline and their seminars. I wrote about EmpwrOnline on TameBay too. The responses have been remarkable. My advice is still not to waste your time, energy or money dealing with EmpwrOnline. 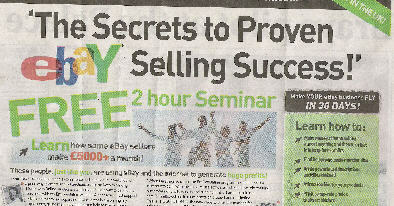 If you want to learn how to sell on eBay, they are not the people to turn to. What am I missing? Feel free to let me know.